It's time to get ready for the holiday season! 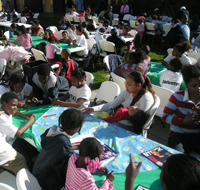 BlackNLA is kicking off its 11th Annual Holiday Toy Drive for underprivileged and at-risk youth all over the Los Angeles Metro area. 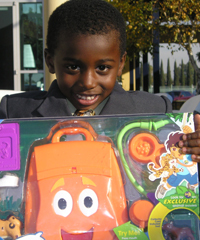 We want YOU to help us put a smile on the faces of hundreds of children this holiday season. The Toy Drive, launching Monday, November 17th, will be our 11th year helping underprivileged and at-risk youth in under-served communities in the Los Angeles Metro area. For many of them, we are the ONLY source of gifts for the holidays. We hope you join us in celebrating the season and help support the children of our community during our 11th Annual Toy Drive.